During National Public Health Week, April 1-7, the This is Public Health (TIPH) team will be visiting Oklahoma for the 3rd annual TIPH Roadshow. The Roadshow promotes public health education and careers, as well as healthy behaviors. The Roadshow will make stops in multiple towns across the state. Activities are planned for K-12 students, undergraduates, and the community. 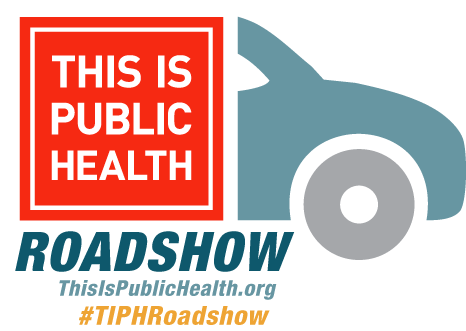 Be sure to follow along on social media using #TIPHRoadshow and #ThisIsPublicHealth. Public Health Fair at The University of Oklahoma: 11:00 a.m. – 1:00 p.m.
Volunteering at Regional Food Bank of Oklahoma: 1:15 – 3:15 p.m.
Coding for Health at Edwards Elementary – Presented by George Hofstetter Technologies, Inc.
National Public Health Week Twitter Chat: 2:00 – 3:00 p.m. The University of Oklahoma Culinary Medicine Program at the Gathering Place: 9:00 – 12:00 p.m.
Public Health Night with University of Oklahoma Hudson College of Public Health at the Oklahoma City Dodgers: 7:05 p.m.
Let’s Hack Health featuring Experimental Civics at Oklahoma State University: 11:00 a.m. – 1:00 p.m.
For more information or to schedule an event, email Tracie Seward, Senior Director of Outreach & Recruitment, at tseward@aspph.org.